Growing up in rural Michigan, Dr. Erica was never far from animals and started riding horses when she was four years old. She taught horseback riding lessons and directed a summer camp for kids through high school, university, and veterinary school. Her passion for conservation, volunteerism, and eco-tourism began during a high school ambassador trip to Australia. Soon after that she made it her dream to pursue a career in veterinary medicine. She has participated in conservation, veterinary, and eco-tourism programs in Australia, New Zealand, Egypt, Greece, Thailand, South Africa, and Costa Rica. 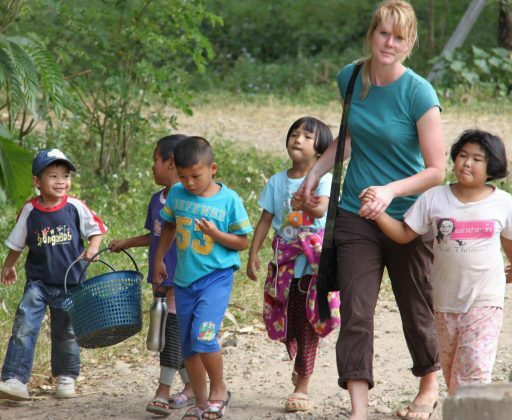 While attending veterinary school at Michigan State University, she developed a deep passion for elephant medicine and spent several months over summer breaks and the clinical phase of school working with elephants in Southeast Asia. 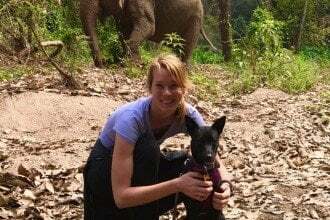 After earning her Doctorate of Veterinary Medicine, Dr. Erica moved to Thailand to work as a full time veterinarian at a world-renowned elephant sanctuary. A few of Dr. Erica’s favorite things are adventure sports, boating, nature walks, swimming, and spending time visiting with family and friends. Dr. Ward’s bio at our School of Record, Iowa Wesleyan.